The Great Wall Adventure Club travel and hotel reservation services are handled by our American and Chinese travel specialists. This way you get a personalized and expert touch when it comes to your travel arrangements, and we guarantee that no stone will be unturned. With our standard of excellence and service we proudly welcome you to China! Officially established in 2003 in Beijing, China, for 10 years Great Wall Adventure Club (GWAC) has been bringing the wonder, mystery, and excitement of “the middle kingdom” to visitors and daring explorers from all over the world. Our satisfied clients have included over 12,500 people from 59 countries. 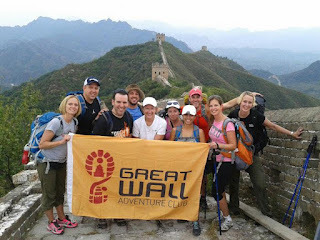 Initially established as solely a Great Wall trekking organization for backpackers, our success and drive has lead to us expanding operation to include all angles of China exploration, from cruises on the Yangtze, hiking in Tibet, exploring the tropics of Yunnan, and all the other great pursuits to be had. Great Wall Adventure Club has been proud to lead numerous illustrious groups on their own Great Wall trek. US Softball, Google, IBM, and the Embassy of the United States of America are just some of the parties we have been fortunate enough to serve. Just recently, the world renowned Cirque du Soleil, in China to perform their enormously popular "Michael Jackson Immortal World Tour" show elected to go on their very own Great Wall Adventure with us! Cirque du Soleil, which has performed on six out of seven continents, has provided a dramatic mix of circus arts and street entertainment to millions of people for almost 30 years.